Addis Ababa: Identifying the cause of the deadly Ethiopian Airlines crash that killed 157 people and caused the worldwide grounding of a brand-new Boeing aircraft model will take "considerable time," an Ethiopian government minister has said. 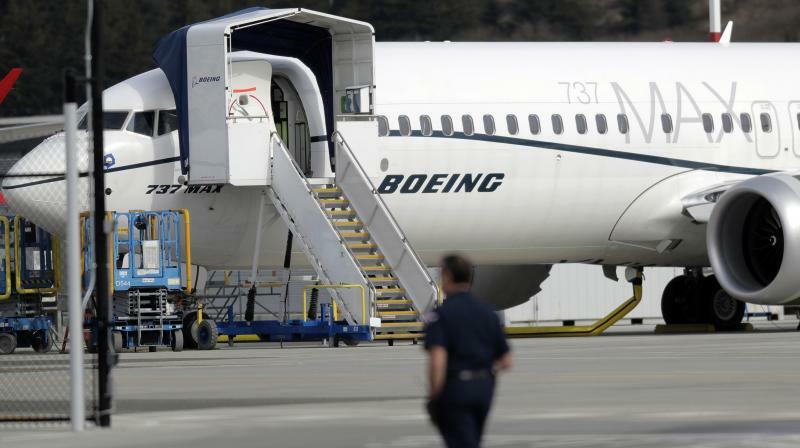 The crash of Flight ET 302 minutes into its flight to Nairobi on March 10 killed all on board and caused the worldwide grounding of the Boeing 737 MAX 8 aircraft model involved in the disaster. "The investigation of such magnitude requires a careful analysis and considerable time to come up with something concrete," transport minister Dagmawit Moges told reporters at a press conference. The victims came from 35 countries. Dagmawit said it would take up to six months to identify remains, and family members were being encouraged to submit DNA samples in Addis Ababa or at Ethiopian Airlines offices overseas. Death certificates would be issued in two weeks, she added. The black boxes from the Ethiopian craft were sent to France's BEA air safety agency this week to determine the cause of the accident. The person said that under the victim's Jewish faith, no funeral could be held until his remains were returned, and the six-month delay was distressing for his family. "They are in immense pressure and remorse as it is, without waiting half a year," the relative added.